Security. It’s something we all need, right? 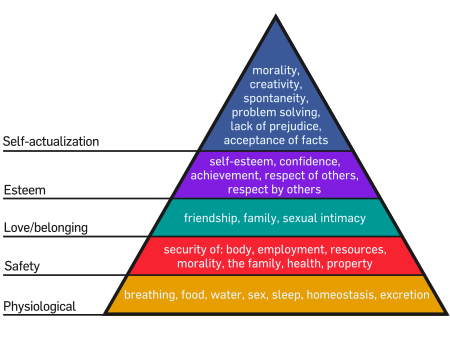 Maslow’s Hierarchy of Needs theory states that besides food and water and basic needs of the body, security is one of our most important needs. I’ve been thinking a lot about security as we travel around Cape Town. There are constant reminders that security is not a given. We see things like a truck with words painted on the side indicating that there is 24-hour satellite surveillance on the vehicle. A way to deter thieves or car-jackers. Apartment houses which have fingerprint detectors (first one I’ve ever seen, outside a movie), and gates across each individual apartment door. Homes (so many of them!) with walls and barbed wire around. It’s an environment that can easily engender feelings of fear. These feelings are also communicated to me from the people that we know, who tell us we must not venture into certain areas after dark, or alone. There’s a certain feel of lawlessness, and I wonder: who are all these “lawless” people? Because everyone I meet is certainly not lawless. But then again, I am not meeting just anyone on the street. I wonder what would happen if I did. Probably nothing. But then the feelings of fear show up and I find myself not wanting to. Perhaps it’s for the best. I don’t really know where I’m going with this train of thought. Perhaps I’m just mulling it over because it is one of the differences in experience between here and home. I feel sad that so much energy and resources must be expended here to satisfy that need for security, but I completely, and viscerally, understand the impulses that drive it. Even though I have experienced nothing that directly would feed the fear, the fear is communicated and felt. And as a student of metaphysics, I know that fear is an illusion and that while we’re feeling fear we cannot access those higher vibrations of emotion such as love and peace and grace. And the knowing and the doing are two different things–this is why I’m a student and not a master. Because I can know something and still do the opposite, especially in the face of fear. To be a house of light in the midst of (perceived) darkness is its own mystery upon which to reflect. Always listen to that still small voice and if something doesn’t feel ‘right’ just don’t go! I see you safe and secure, surrounded by many angels and guides who are watching over you! Staying with friends is such a good bet anyway. I am just catching up with you. Glad you are there. Enjoyed your tales of getting to S.A.
Like your ponderings and “out loud” processing. Sounds familiar. Washing dishes is useful and therapeutic. I have a lot of blog catching up to do since you started this. Will be anxious to hear what is next.